I went from having a short funky hair doo, to looking drab. The longer and heavier my hair got, the more boring I felt. So I cut it straight back off. It's a slightly different kind of crop now in that I clipper it myself and go for a 'bedhead' look, but you know what I love it. I like to be different and it most reflects my personality. So just a quick word to those thinking about growing it out. Perhaps try a different pixie crop look before you give up? 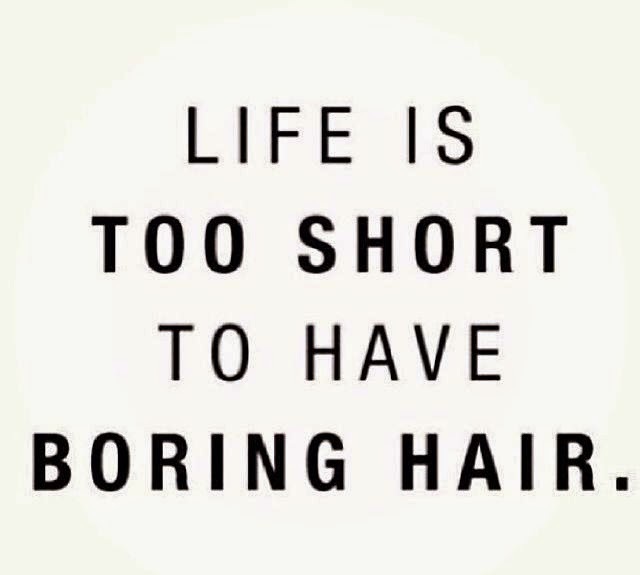 After all life is too short to have boring hair! I would look at photos of all these amazing hair doo's longingly and yet my hair type was nothing like those girls! Short suits me I've decided. Gives me more confidence! Good for you!